Where Fashion Jewellery meets Fun! T Two Luxe Collections(T2) is a fashion store for everyone who embraces fashion and creativity. 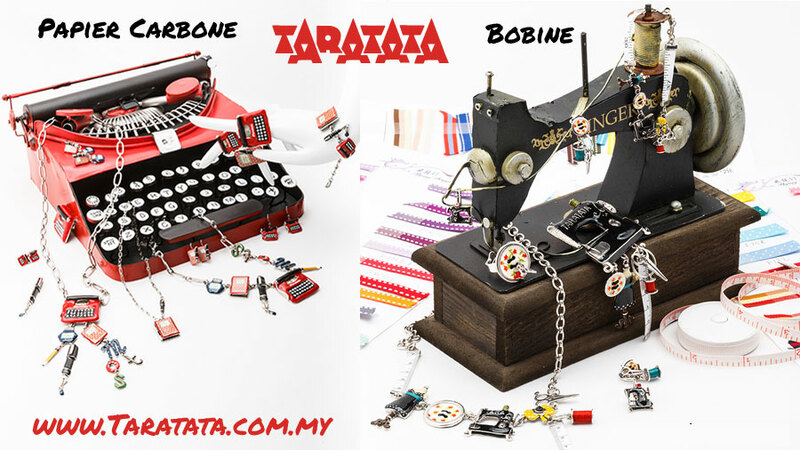 Let’s embark on a journey with us to discover the most eccentric fashion jewellery you have ever seen - the Taratata from France. Taratata is founded in 1986 when three creative souls, Bernard, Hélène and Philippe met and exchanged ideas. Their shared appeals of originality and creativity gave birth to the audacious and captivating collections of Taratata. Inspiration from everyday symbols, sense of nostalgia, extraordinary archetypes are incorporated into the designs of Taratata. Taratata skillfully made designs from the combination of colours, Swarovski crystals and semi-precious stones on the silver plate to create the multi-coloured and unusual jewels. Shop Taratata jewellery and infuse some fun into your wardrobe at T2. We complete your outfits with zest and boost your confidence to live bold and bloom! Our quirky fashion jewellery collections have limited availability but are ready to inspire a long time love affair with you. If you saw something you like on our store, our advice to you is, don’t resist. Grab it fast before it’s gone!